People who have out-of-body experiences can detach themselves – true individual being or ‘Soul’ – from their physical bodies. Even after neurologists, psychologists and other scientists have conducted numerous studies, out-of-body experiences (OBEs) remain unexplained. 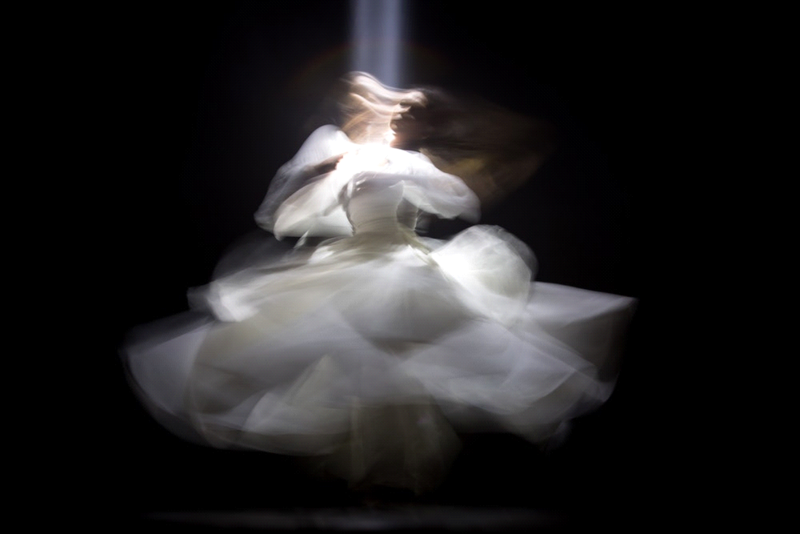 These experiences have been described as lucid dreams where people appear to float away from their bodies. OBEs seem to be prompted by near-death-experiences but other people claim to have had them right before they fall asleep. Some others experience them during times of intense physical pain or by freewill in a state known by a certain esoteric perspective as ‘serenity of being’. 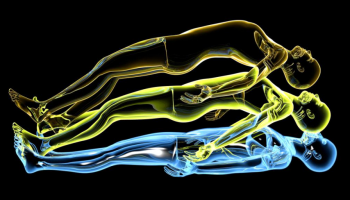 There are reported cases of people all over the globe who can leave their bodies at will to attain a higher level of consciousness. In the year 2014, a couple of researchers at the University of Ottawa were studying a 24 year old Canadian psychology student. She claimed that she first began detaching her true-self or ‘Soul’ from her body during sleep time in preschool and had learned to do it at will over the years. Only after attending lectures on OBEs did she learn that most people could not recall being able to detach themselves their bodies whenever they wanted or at all. In this specific case, the woman claimed to have OBEs before she fell asleep; she said that OBEs helped her attain better restful sleep. During an OBE, she asserted that she could make herself move away from the body, while she knew that her physical body stayed where it was. She stated that she doesn’t believe that there is any duality of body and mind as an OBE occurs. She also said that during the process her body is hyper-sensitive while she is so focused on leaving the body. As part of the study, the woman’s brain activity was monitored through a scan. To the researchers’ astonishment, when the woman claimed to be having an OBE only the left side of the brain was stimulated. This is unusual because when the brain is imagining things both the right and left side of the brain are engaged. In addition, her visual cortex wasn’t activated at all the way it should be during imaginations. The study left the researchers puzzled; they failed to come up with a logical explanation as to what was happening to the woman. They stated that the woman needed to be studied further and that their study was highly dependent on the participant telling the truth. Back in 1968, a professor of psychology named Dr. Charles Tart studied a woman referred to as Miss Z, who regularly had OBEs. In the study, numbers were placed on a high shelf above Miss Z’s bed as she slept. She was asked to self-induce an OBE and reveal the number when she woke up, Dr. Tart remained in the room to ensure Miss Z never looked up to check the number. Miss Z always stated the right number. The room was scanned for reflective surfaces in the room and all other precautions were taken to make sure there was no way Miss Z could see or know the number. Psychological Disorder or Higher Consciousness? Dr. Tart described Miss Z as a mature and insightful woman. However she wasn’t completely mentally sound. In fact, she was so mentally disturbed at times that some researchers would consider her schizophrenic. But even if Miss Z had a psychological disorder, it doesn’t explain how she was able to float out of her body and see the number that was placed on the shelf. There are many more cases of people with OBEs that are being studied; none of which can be explained scientifically with the limited knowledge humans have at hand on Earth today. Non-classified scientists can deny it all they want but unknown forces are definitely at play during OBEs. Direct Experience-based Hidden Truth Revealing Researcher and author R. Scott Lemriel isn’t fazed by OBEs and he’s not confused them either; he’s been having them since the age of 5 and earlier. It was through his OBEs that he learned the deliberately hidden truths about the existence of the far, far more ancient past of planet Earth that involved human beings in our current form than is known to this day. He further discovered that humans are not originally native to planet Earth—we evolved to what we are today long ago in our Milky Way Galaxy and other galaxies and arrived here at one time and scenario or another aboard the spacecraft of very ancient advanced extraterrestrial races. Human beings did not originate on Earth. In his thrilling hidden truth revealing book titled The Seres Agenda, Lemriel shares his direct experiences with extraterrestrials, inter-dimensional travel journeys, and much about galactic history and events that are entirely unknown on Earth today. In addition, he also provides special techniques at the back of The Seres Agenda book through which each reader can explore co-creating their own self-induced out-of-body experiences or OBES. In this way, they can begin to explore deliberately hidden truth first-hand; they can recover much that was taken from them without their consent or current awareness! Want to discover more? Order his books The Seres Agenda and The Emerald Doorway (book one of The Parallel Time Trilogy) today!